The British Pound appreciated against the US Dollar, following the UK Average Earnings Index and Unemployment Rate release on Tuesday at 09:30 GMT. 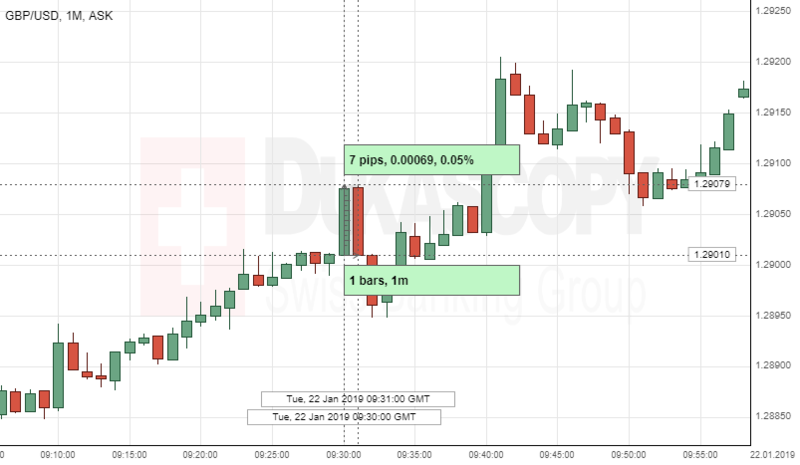 The GBP/USD exchange currency rate gained 7 pips or 0.05% during a minute, right after the release. The British Pound continued trading at the 1.2910 area against the US Dollar. The Office for National Statistics released UK Average Earnings Index data that came out better-than-expected of 3.4%, compared to forecast 3.3%. Note, that the UK Unemployment Rate was released at the same time with the UK Average Earnings Index. The Office for National Statistics comments: "Latest estimates show that average weekly earnings for employees in Great Britain in nominal terms (that is, not adjusted for price inflation) increased by 3.3% excluding bonuses, and by 3.4% including bonuses, compared with a year earlier".